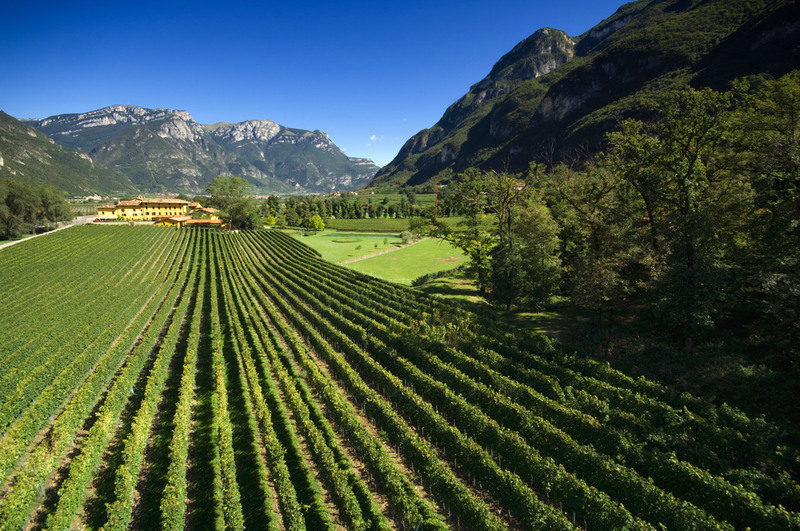 Tenuta San Leonardo sits high atop the plains of Trentino Alto Adige, in northeast Italy where the Dolomites begin their rise as part of the Alps mountain range. The unique evolution of modern day San Leonardo is a miraculous yarn filled with nooks, crannies and detours throughout European and Italian vinous history. There are few families with origins as far back as the year 589, yet that’s where this tale begins. 589 ~ Theodelinda and Authari marry on the future estate. 1000 ~ The Church of San Leonardo is built. 1646 ~ Records of the De Gresti Family on the estate are found. 1890 ~ Marriage of Gemme De Gresti and Tullo Guerrieri. 1918 ~ The Armistice for World War I is negotiated at Villa Gresti. Today, the estate is helmed by Anselmo Guerrieri Gonzaga and his Father. Tre Bicchieri are conferred upon the flagship San Leonardo like the clock striking 12 every afternoon. The history is compelling, precocious, and enthralling. All adjectives that can lend their definitions to the wines. The estate sits and is surrounded by what appears to be an environment of almost inhospitable nature to both man and vine. Yet the mountains often shield the vineyards from the harsh winter winds that would seem so bleak. Inside the walled hamlet of San Leonardo, the estate cultivates the classic varieties of Cabernet Sauvignon, Cabernet Franc, Merlot, Carmenere, and Petit Verdot. Further to the north of the main estate, Sauvignon Blanc is grown. In total, there are about 25 hectares under vine. 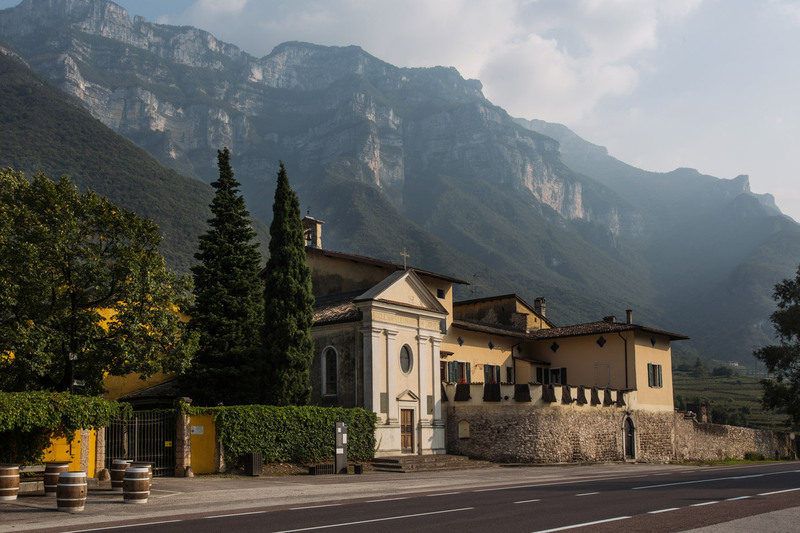 Despite the rich history, San Leonardo doesn’t sit idly by. The family is dedicated to preserving nature and currently produces over 35% of their own electricity through solar generation. In 2015, the estate became fully organic and over 270 hectares of forest comprise the estate’s ecosystem; home to hundreds of Mediterranean plant and animal species. Bees are kept on the property, since, as the family professes: “For over a hundred years we have kept a home here for nature’s workers”. Over the past few weeks, I’ve had the absolute pleasure of reviewing the line of wines from Tenuta San Leonardo. I could wax poetic for paragraphs; the wines are outstanding. This shouldn’t be a secret to anyone. For decades, San Leonardo has been called the “Sassicaia of the North” and not solely because it was the brain child of Tachis; but because it has repeatedly exceeded expectations. That said, the estate produces wines at every price point, and excels consistently. 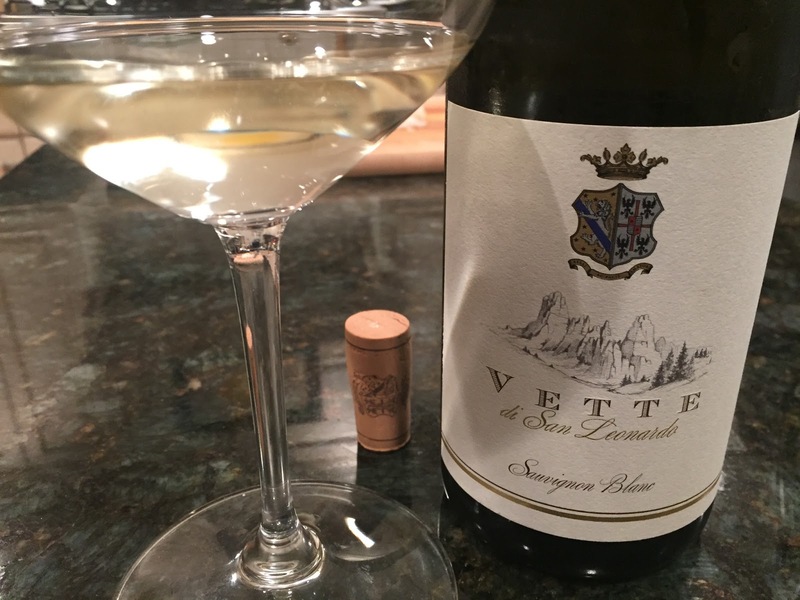 First produced in 2011, this is the newest wine of the estate and it takes its name from the tall peaks of the mountain range that surrounds the vineyard, “Vette”. The 2014 is a pale gold, almost colorless. Wonderful aromas of alpine air, lemon citrus, flinty mineral and honey are noticeable. Crisp and fresh with a lively texture that is medium to full bodied. Flavors follow the nose with lemon notes joined by hints of grapefruit near the finish. Hand harvested and cold soak pressed, then vinified and matured for 5 months in stainless steel. Lovely wine and a nice value. 100% Sauvignon Blanc. 90 points, about $22. 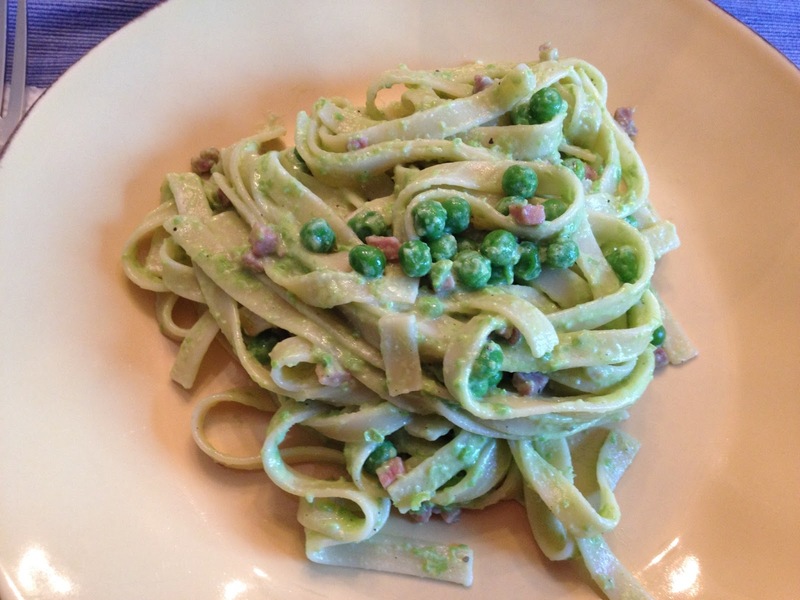 The Vette made an excellent pairing for Fettucine with Spring Peas and Prosciutto. Recipe here: Pasta con Piselli. 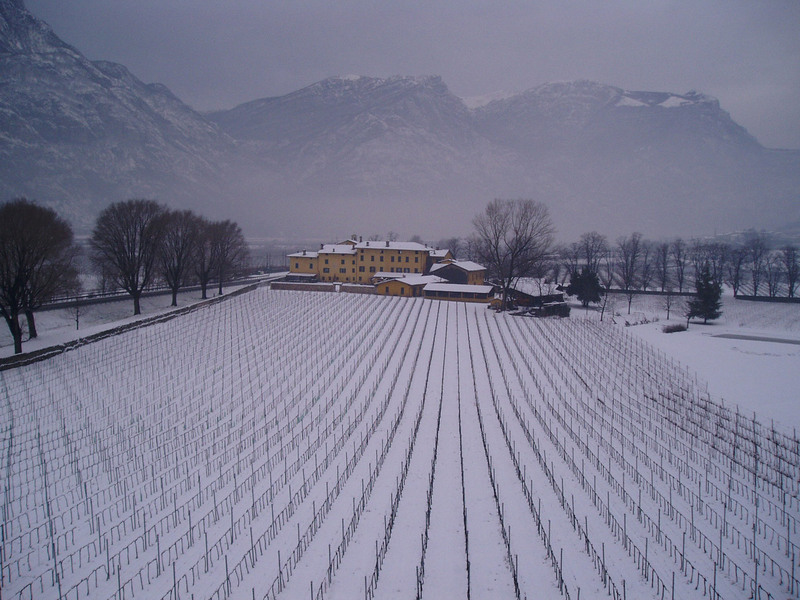 The Land of San Leonardo…. This wine follows the same evolution as the estate’s flagship and is a blend of all the grapes grown on the estate. Sourced from vines that are between 5 and 25 years old, the wine is elevated for 18 months in oak; 80% of which is aged in Slavonian Botte and 20% in French barrique. The finished blend rests 6 months in bottle before release. The 2011 is excellent. It’s deep ruby throughout, with faint violet reflections. Fresh flowers, cedar, wild berries and spice waft from the nose. With additional aeration, tobacco and alpine herb scents emerge. It’s very attractive. Good persistence to the flavors on the palate with ripe cherry, tobacco and hints of dusty, minerally graphite. Picks up lots of weight with air and the rich cherry notes add refreshing mint as it opens. Decant this for an hour before trying it. Excellent value and for the last 7 vintages at least, Due Biccheri. 90 points, about $18. The next wine is very different from Terre and the flagship San Leonardo. An accessible blend of 90% Merlot and 10% Carmenere the fruit is sourced from vineyards that are 10-20 years of age. Fermented in neutral cement, the wine is then aged in small barrique for 12-14 months depending upon vintage character and then refined for an additional year in bottle before release. The 2008 is deep ruby, a lovely color, with almost a Brunello like fade to copper at the rim of the bowl. 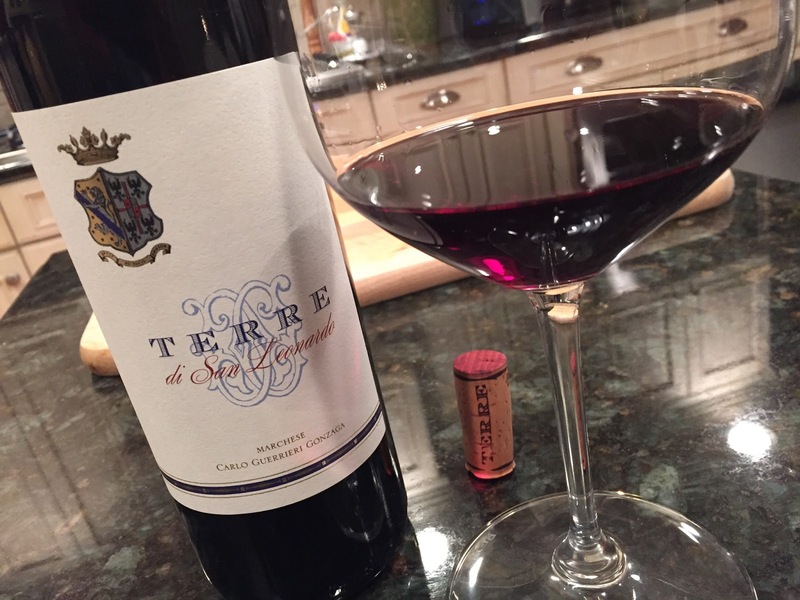 Classy, refined, ripe aromas of plums, cedar, and spices mingle nicely. Good medium body with flavors that echo the aromas with nice persistence. This is ready to drink with fresh acidity and a slight herb laced finished. Despite what the market parameters suggest, I like the Terre di San Leonardo quite a bit better than this wine. Well made for certain, it just doesn’t ring my bell. 87 points. About $30. With all of these lovely reds, we featured some amazing meals like grilled hangar steak, chicken cutlet Milanese and pasta alla Bolognese. 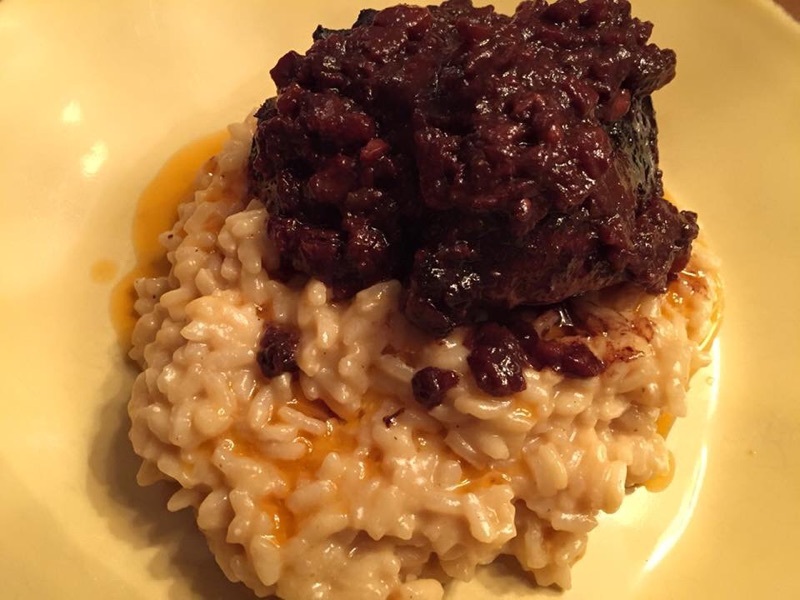 For the flagship wine, we went with short ribs over parmigiano risotto. The Sassicaia of the North title is well deserved. However, it’s not necessary. Not even a little bit. San Leonardo stands on its own and does so easily. It’s earned Tre Bicchieri every year it has been produced since 1988. I’m willing to bet that other wines which can make that claim may be counted on one hand. A blend of Cabernet Sauvignon, Cabernet Franc, and Merlot, the fruit is meticulously selected from vineyards that range in age from 20-50 years old. 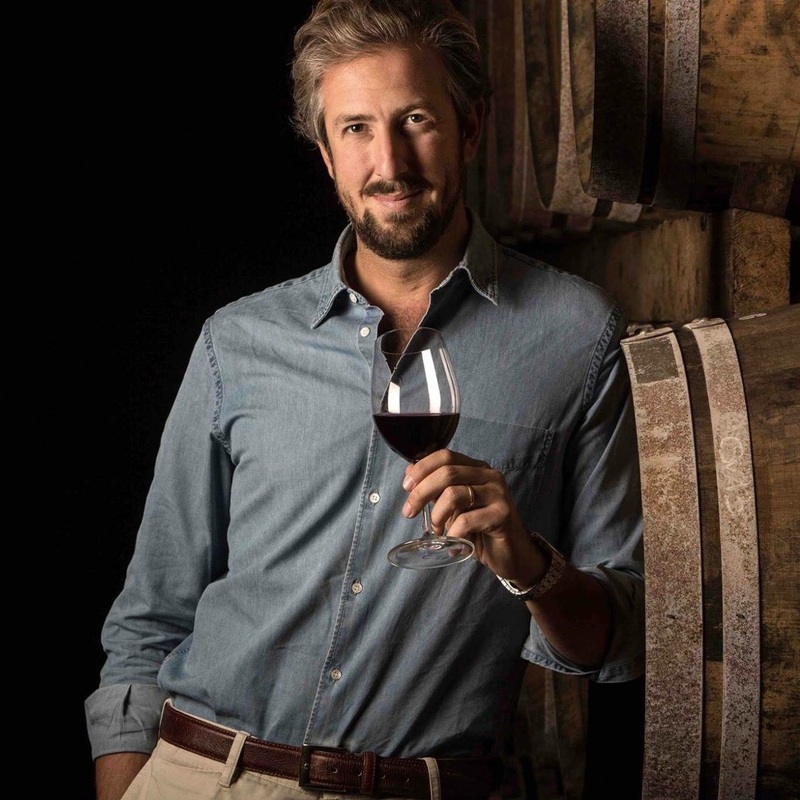 Produced in the way Giacomo Tachis envisioned and now overseen by master Carlo Ferrini, San Leonardo is spectacular. First matured in cement tanks, the wine is then transferred to new and used barriques for 18-24 months followed by an additional year in bottle before release. The 2008 is deep ruby in color and was decanted for almost 90 minutes prior to dinner. No sediment was removed. 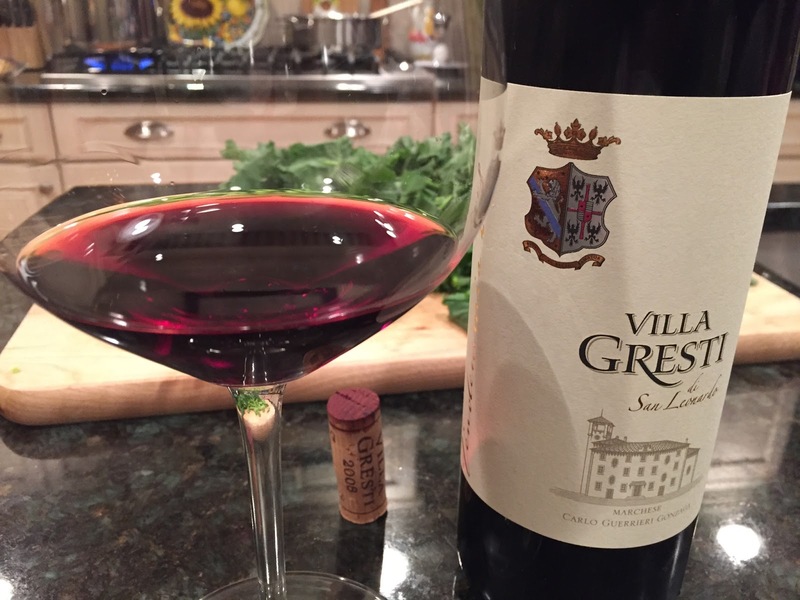 The aromas from this aristocratic wine include black plums, fennel, alpine herbs, cedar, tobacco and flowers. It’s wonderful. On the palate, the flavors follow the nose with pristine intensity and add espresso bean and a soft trail of powdery, mocha. The acids and tannins are nearly in perfect balance and while this amazing wine shows well right now, I sense that it has a lot more complexity to give as it ages. It’s exceptional cellar worthy track record should prove correct with the 2008. Impressive. 96 points. Retail ranges from $50-$70 depending upon location. Toward the lower end, I’d load up. What’s more, given the repeated Tre Bicchieri awards, you can buy almost any vintage you come across with confidence. Salute! After my tastings, I had the pleasure to sit down and discuss the estate and the wines with Anselmo Gonzaga. Tall, thin, and engaging, Anselmo is very humble despite his long lineage of aristocracy. While he’s proud of his wines, there is little he needs to say to advance their standing. He’s approachable and generous with his time and although we did taste together on a few occasions, I cannot wait until I can do so with him, while walking his property. Ciao Anselmo, thank you for joining us here at Tuscan Vines. Grazie a lei, Giovanni for your attention. Allora…. Let’s begin with things as they are today. The estate is largely run by you and your father. What roles do you both play in the winery? Si, Giovanni. 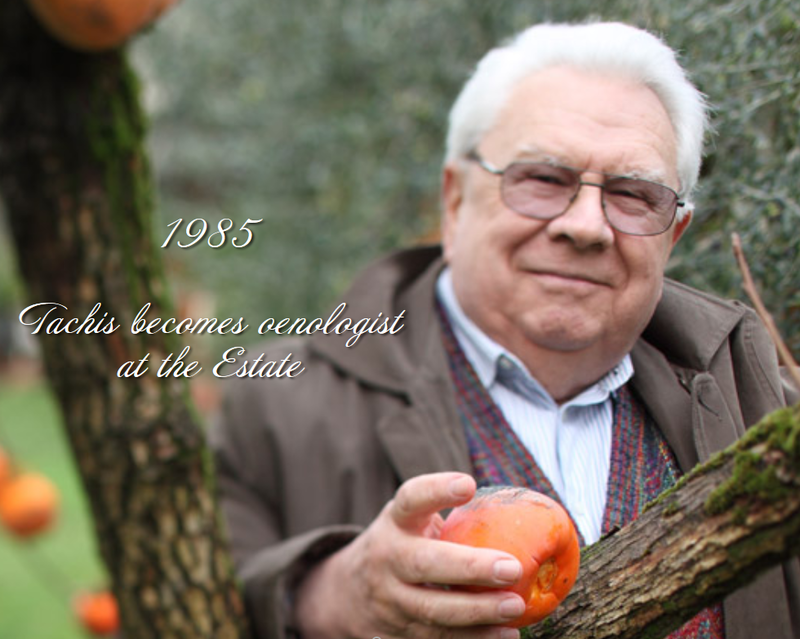 My father Carlo took the reins of the business from my Grandfather, Marchese Anselmo, in 1974. Since then, he has been involved in all aspects of the operation and he still is today. Two important changes at San Leonardo that he is responsible for are supplementing the pergola system for vine training that was very traditional, with more modern techniques like the spurred cordon and Guyot method. He also introduced Cabernet Sauvignon to the estate, the importance of which cannot be understated. Did he face any criticism for that? Today my father has spent 50 years of his life working here at San Leonardo. Nothing escapes his benevolent supervision. He walks the vineyards, manages the winemaking process, and continues to work the harvest. And you, what about your role? 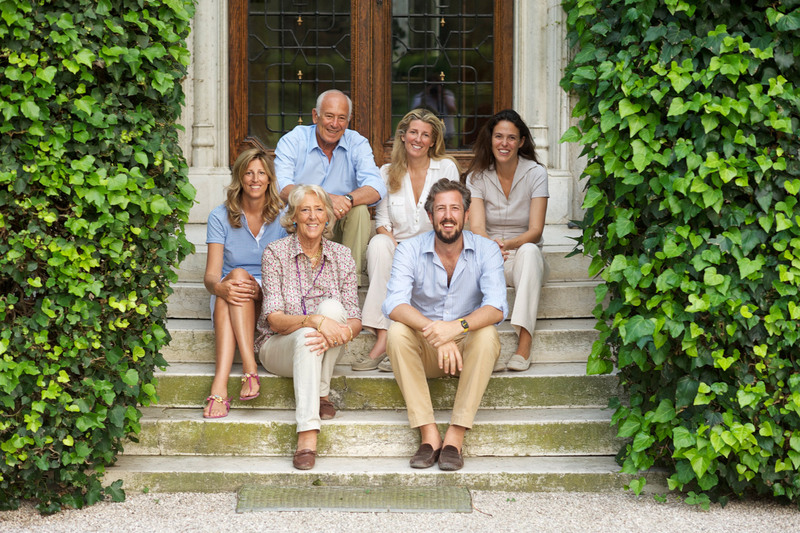 We have a great team at San Leonardo and am fully involved in all aspects of the winery just as my Father is. The one exception being that I travel often to promote the wines, because as you say, although we should not be a secret, the wines of Trentino are still relatively unknown. Anselmo, the Italian wine world, indeed all of the world of wine, lost a giant with the recent passing of Giacomo Tachis. He impacted so many great wines of Italy. What do you think San Leonardo owes him? You chose the right word Giovanni. Tachis was a giant. A gaping hole that will never be replaced. Over the last 30 years, San Leonardo owes much to two outstanding figures; Tachis and now Ferrini. It was in 1984 that my father was offered the services of Giacomo Tachis by Piero Antinori and thank God that Tachis agreed! That collaboration succeeded 15 years, until 1999 when Tachis began to reduce his professional workload substantially. After that, Tachis recommended that a “rising brilliant exponent” replace him in his role as consultant, and that recommendation was none other than Carlo Ferrini. In fact, we are happy to have Carlo assisting us in the winery since that time. The interesting idea about Carlo is that he’s not only observing of the wines. He has a very strong background in agronomy and spends a great deal of time in the vineyards supervising the the practices of existing vineyards and overseeing new plantings. There is another key person in our family estate. Tinelli? Yes, Luigino Tinelli. He was actually born here! and since 1970 has been at my father’s right hand. He works well with Carlo Ferrini and implements all that Ferrini may suggest. 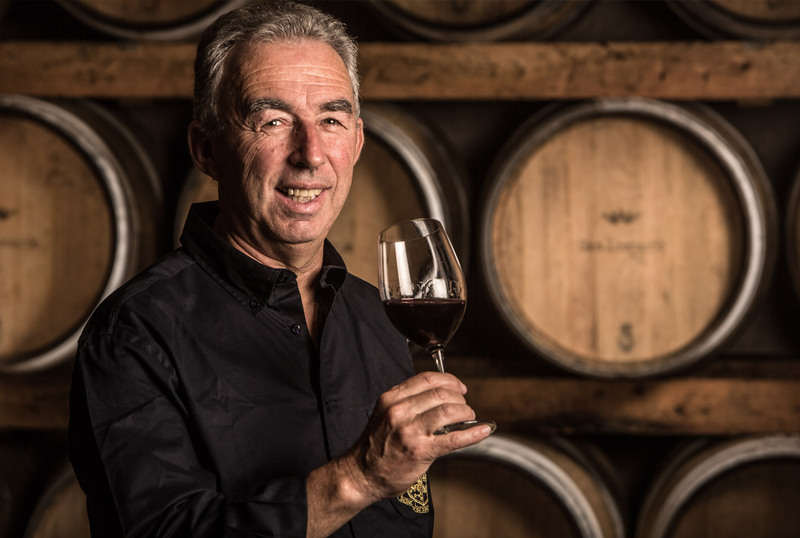 His technical expertise is crucial to the wines evolution and he has the priceless asset of the memory of wines we’ve produced for the last 40 years. The estate is one of the most picturesque you can imagine. You mentioned that Italian proverb above regarding the snow, but how different is the terroir here, so close to the Alps compared to other areas in Italy? It is different for certain. 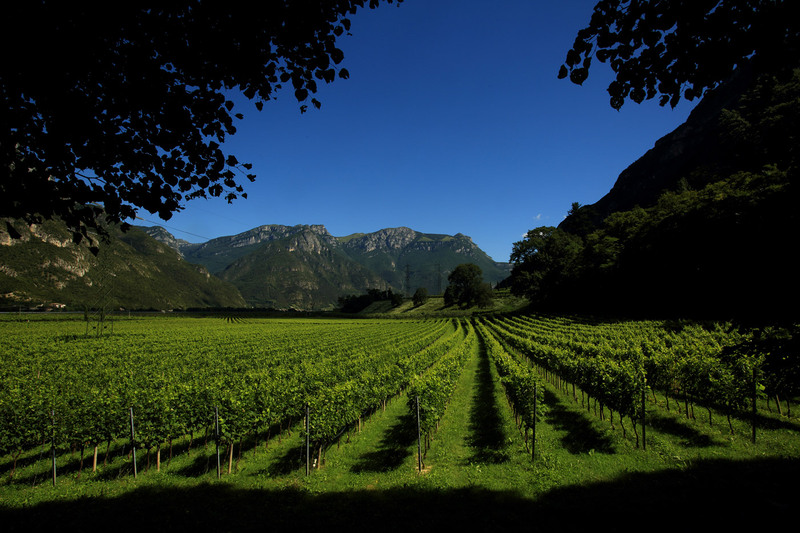 For one, we have a lot of trace minerals in the soil here that is natural from the Alps and the mountains. That is something I noticed that you also picked up in the wines. And although the elevation here is much lower than people would imagine, the substantial temperature swings between day and night, even in the summer, is notable. Not only does that give depth to the grapes aromatics, but it slows the ripening process so that the flavors develop fully, but with lots of fresh acidity. The harvest only begins here in late September and often lasts until the last days of October. I saw that in 2001 you completed your new wine cellar, the “barricaia”. Can you talk a bit about that and what else is new at San Leonardo? Yes, in 2001 we finished the new cellar which is directly beneath what was once the ancient monastery here at San Leonardo. 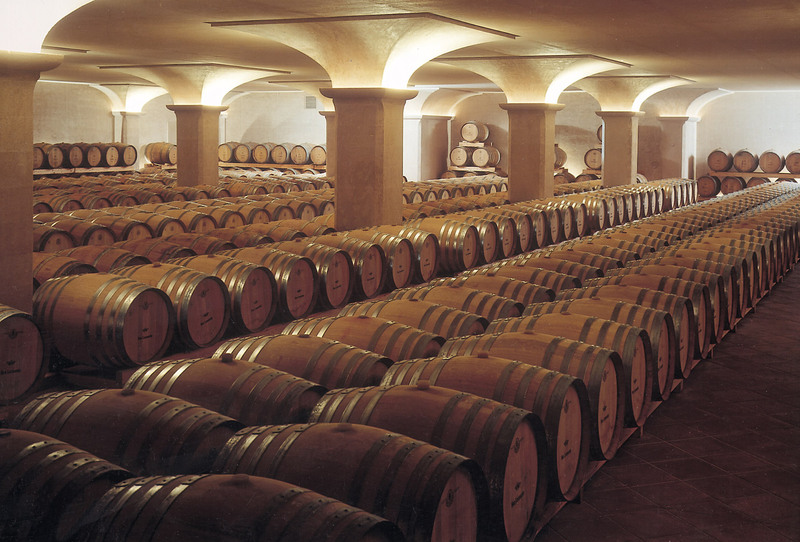 In a modest space that we have, which houses older vintages of San Leonardo there is a private, murky passageway that leads into a large subterranean space that is characterized by a series of arches. It’s the perfect place for our wines because both the temperature and the humidity are naturally maintained with no need for any sort of man made technology. Also I’m proud to say that from 2015, we have converted the entire estate to organic agriculture in an increased effort to care for our precious ecosystem. What else is new? I would say that we have implemented use of the “V Certified” system for San Leonardo. This uses labels on the back of our bottles, that hold a QR code. The owner of the bottle can scan the QR code and get an immediate guarantee of traceability and genuineness along with information about the wine itself. Excellent, I know many wineries are struggling to combat counterfeit wine. I’ll have to trace my bottles to see what I find. So, we’ve touched on this a little bit, but Anselmo, the history of this estate and of the Villa are amazing. I’m a student of history, particularly of World War II. What has this estate been witness to? Oh my Giovanni. This estate is living history! My ancestry began in the year 588 AD when Principessa Teodolinda the daughter of the King of Bavaria married Autari, the King of the Lombards. That was not completely documented. But in 900 AD the family has records of when the Bishop of Verona granted land in the “Trento Woods” to his colleague which would ultimately become this estate. 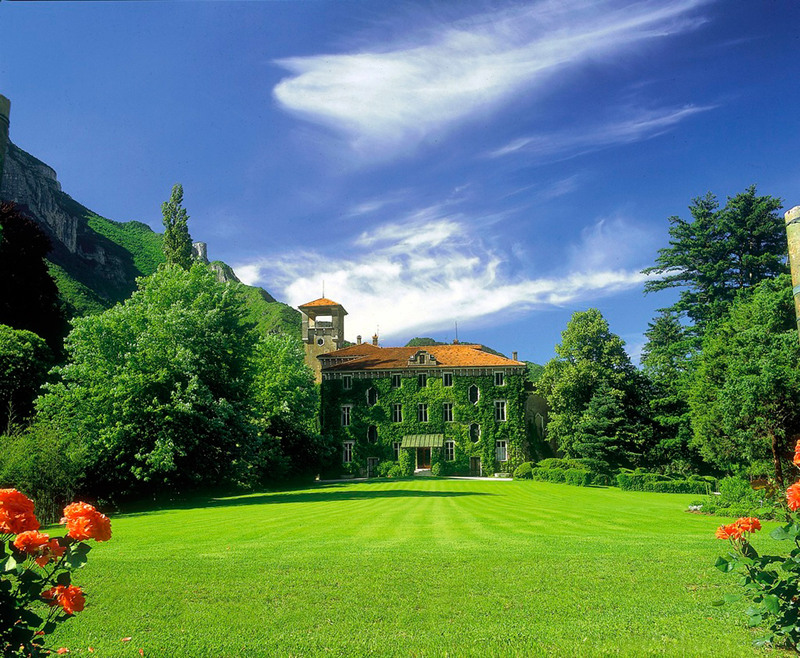 During World War I, the Villa Gresti served as the headquarters of the 29th Corps of the Italian Army. In 1918, Austrian representatives presented themselves blindfolded and were ushered into the headquarters where they requested an armistice. That effectively ended the war for Italy. 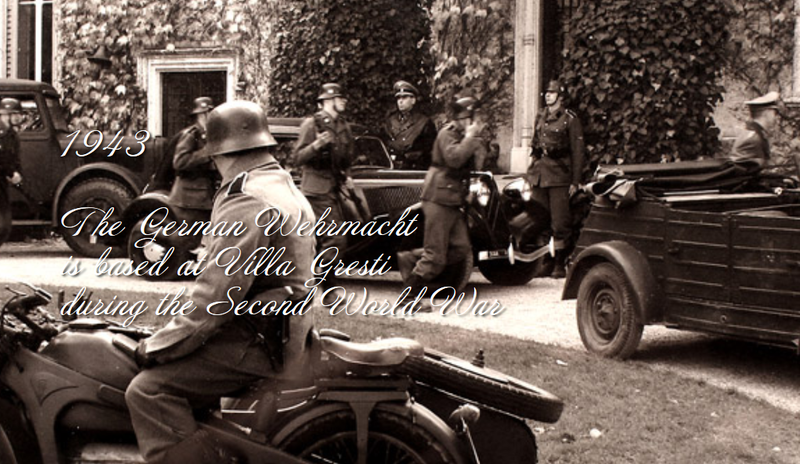 Later in World War II, the Nazi’s used the Villa for their Army headquarters as you note. Today there are still the numbers the Nazi’s put on top of each door to every room with a little plaque on each to divide everything up. We still have all the keys with the corresponding numbers on them too. On the estate there are some barracks they built which are now falling to pieces, but they kept the house in perfect condition. They even provided a list of damaged items to be repaired. After the Germans left, the house was occupied by the Americans and then finally by the British. There were no British officers present and the men got a bit crazy. They even filled a piano with beer! It was quite crazy times. Unbelievable! Anselmo, thank you so much for joining us today. Please give my best to your father and I know I speak for my readers when I say, keep making great wine! Of course we will Giovanni. Salute, e grazie mille! I’ll wait for you at San Leonardo! John, what a great post! This winery looks magical, wow… I had the odd chance to taste a few vintages of San Leonardo flagship and Terre di and I have to say, in my opinion, even though San Leonardo flagship is unquestionably a Great wine, the Terre is an outstanding value, so much complexity and balance for the price! These 2 wines are certainly unique. Salute! Raph, we're agreed. I was really impressed with the Terre. Can you do me a favor and email me? I lost your email. Grazie. Grazie a te amico. Thank you for making yourself available to me. See you in May. Thanks for this great post. I visited this estate last summer with my gf and out of all the winery visits we have made during the last six years this was by far the most enjoyable and memorable. Marchese Carlo Guerrieri Gonzaga is an amazingly kind and generous host, he even took us on a ride in his jeep around the estate. And the wines are of course of really high quality as mentioned and as close to old school Bordeaux as one can get outside of Bordeaux. 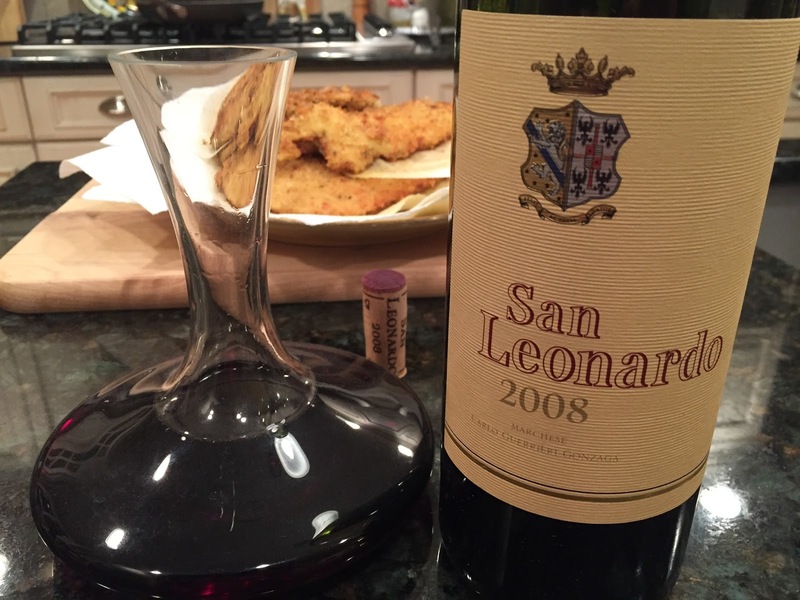 We just had the 2000 San Leonardo and it was singing, just a beautiful wine. Thanks for commenting and reading Tuscan Vines. I agree, Anselmo and his Father are amazing. Glad you enjoyed this article and hope you enjoy the rest of the site. Salute. I just finished Your excellent article. Very well done! I found it via a post on FB, "Friends Who Like Wine In The Glass" My Fiance and I will be in Italy this June to be Married. Jeans family history in Italy goes back to the 12th century. We are looking forward to exploring this history with her family for two weeks. Then we intend to explore the wine regions of Italy. Several of my well traveled friends in Napa and Silicon Valley suggested that we should explore the Northern Italian Wine Regions. After reading your article I am convinced … In August this Year I would like to make arrangements to visit your San Leonardo Estate. If you would be so kind please advise me how this would best be possible … Please reach me Via email at: abstraamerica@rocketmail.com or Wisdom Seeker on Face Book Thank You! "Happy Trails"
Thanks for your wonderful comments. I can surely make the introduction to arrange a visit. I'll be in touch.